Hello. 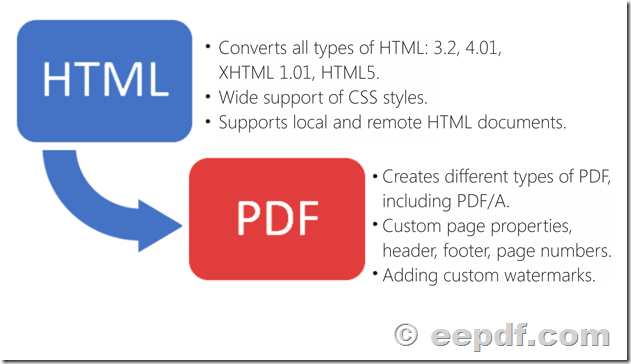 I’m attempting to evaluate your html to pdf converter command line tool to convert html documents into pdfs. The html docs contain scripts, css, and html4. My OS is windows7 (64 bit). Every time I attempt to run the html to pdf converter command line tool it errors out. A 0 bit file is created in the output directory and the program errors out. Any advice you can provide would be helpful. Also of note. I’m evaluating this product as a potential tool to utilize for our archival product that is used at over 300 customer sites. We are immediately interested in the html to pdf conversion capabilities and also interested in the pdf to tiff conversion. Do you know an easy way to extract text from scanned PDF to XLS in batches? How to convert PDF to Word and remove figure of PDF? This entry was posted in @eepdf Software and tagged html to pdf. Bookmark the permalink.